About the Author: Eric Julien (aka Jean Ederman) is a former fighter pilot trainee, a military air traffic controller, a twin-jet pilot in commercial aviation, station manager for an international airline company and an airport manager in the great Parisian airports. Holding a post-graduate degree in Economic Science on new technologies, he also has an Airport Senior Manager Certificate from the Ecole Nationale de l'Aviation Civile (National School of Civil Aviation) in France. 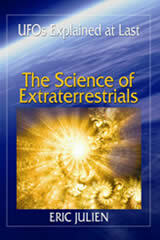 He states having had contacts with extraterrestrials and shares in this body of work his understanding of the universe. 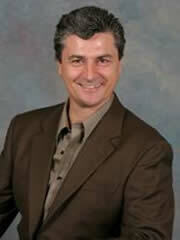 He authored two other books in French and has participated in several national radio and TV shows. A major book on Ufology: The Science of Extraterrestrials, by Eric Julien, published on October 10, 2006 only through alliesbooks.com (400 pages) ISBN 1-60177-101-0, presents a "theory of Everything" concretely explaining the scientific, paranormal, and ufological mysteries in a language that is accessible, direct, and abundantly illustrated (135 figures). Its philosophical reach is incalculable and it provides answers to paranormal questions that if correct, according to French Physicist Dr Michel Carmassi, deserve the Nobel Prize in Physics.